MobileCasinoParty- The most suggested real cash online casino games in the U.S.
Go try minecraft free from your browser and play on multiplayer servers. Looking for a Minecraft host which offers affordability and quality without charging a lot of money? Try GGserver's Minecraft hosting .High grade performance services. $3/GB! The official website for the upcoming Fire Emblem 3DS game has been launched. Although only a limited amount of content is currently available, there is a new video which features the game's introductory cinematic and several seconds of new gameplay footage, so click the image above to take a look. The game releases in Japan on April 19th, with a European release scheduled for later in 2012. No word on a NA release, yet. 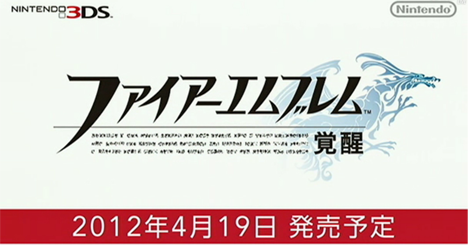 The upcoming Fire Emblem 3DS game has been given a name and release date in Japan: April 19, 2012. Some new information on the game's storyline and gameplay aspects has also been revealed; the FE3DS page will be updated with this information soon. A brand new Fire Emblem game has been announced for the 3DS. It features 2 v 1 battles, 2 player co-operative play, and is due for release in Spring 2012. No word on an American/European release, but we can hope. You can visit the Official Preview Site to view two trailers and some screenshots. Project Empire is the working name for a brand new online, browser-based multiplayer RPG that I am acurrently working on. It's still very early in the development process, but you can find out more about the project in the forums: Project Empire. You might have noticed that the "Game Guides" dropdown menu at the top of the page is now fuctional. The only game page that is available at the moment is Radiant Dawn, but the other game indexes should be completed soon. All of the content from the old website is available on the FE10 page, and the remaining sections will be written soon. In order to speed up the content writing process, we're hiring some staff members. Please refer to this topic in our Forums if you think you might be able to help out. Thank you. In the meantime, why don't you visit our Forums? You can consider this to be an advance release of the new website layout - it is NOT complete and I will most likely make several changes before I am happy with the design (the background in particular). Please post any comments or suggestions you might have in this thread. I plan to launch the full website by the end of the month/early April, along with the new forum skin, so be on the lookout for some small previews over the coming weeks. Here is a small preview of the new website layout. It's a bit dark and dull, but I'm planning on including lots of screenshots and icons/sprites on all of the content pages, so it should balance out pretty nicely (though I might still chuck a few filters over the top to brighten things a bit and improve the contrast). The background and the sidebar "rock" are currently placeholder images.